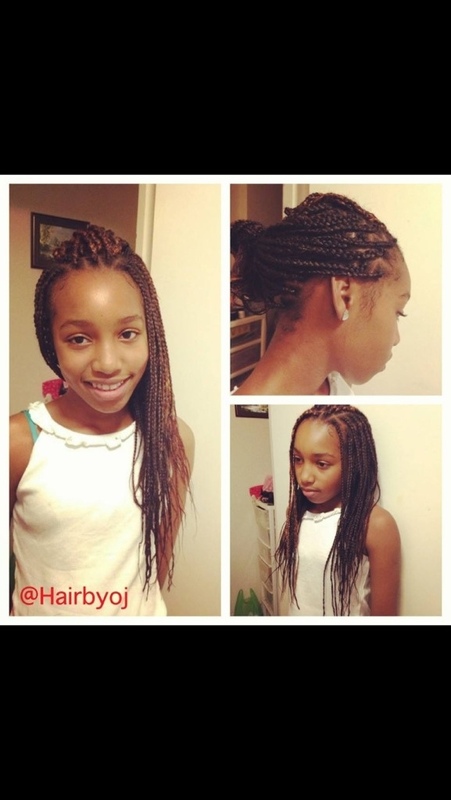 This young lad has set a new trend with braids ..who would have thought! 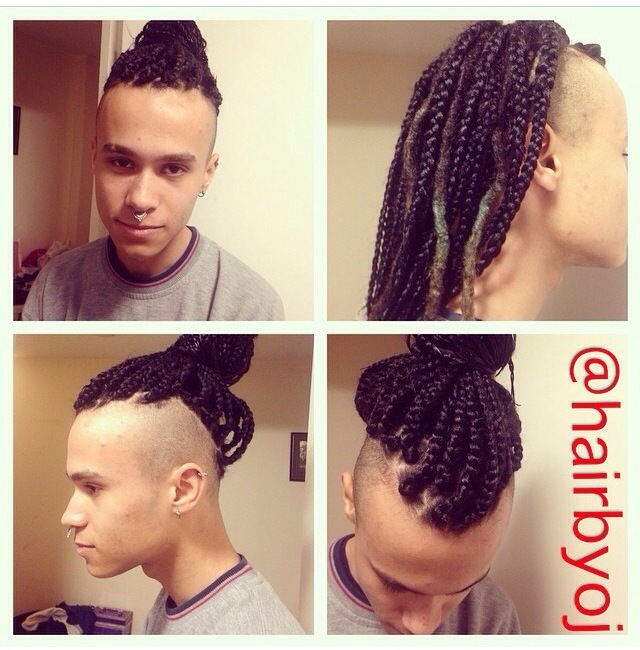 The braids suited his edgy/ arty style and the shaved sides allowed the style to look stylish as opposed to feminine. 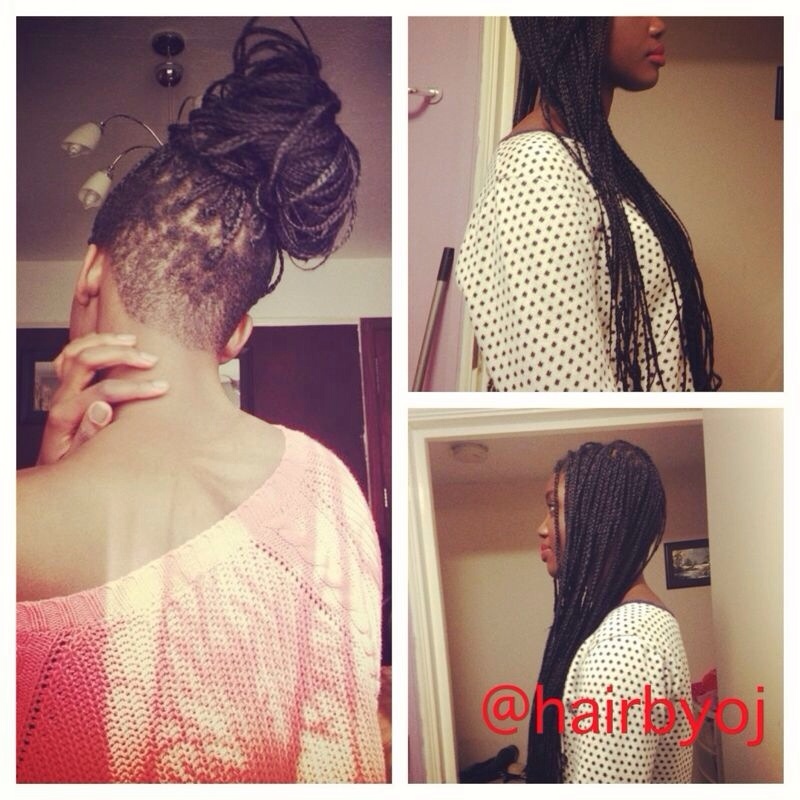 If you are a guy and want a cheaper , quicker alternative to faux locks, then braids may be your answer! For a more masculine result, bigger braids with bigger partings would help you achieve this, and putting it in a bun or ponytail (like shown in the picture) may also reduce the feminine look. The braids are back! The style is pretty self explanatory. 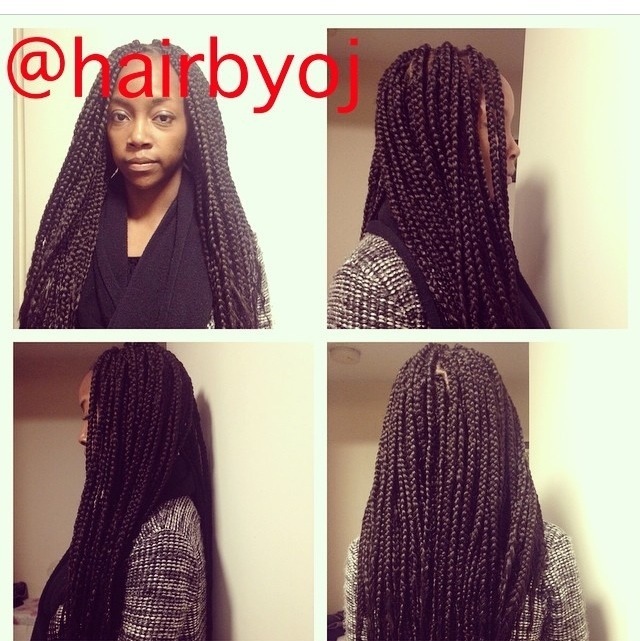 We achieved a classic poetic justicesque look through waist length chunky braids. 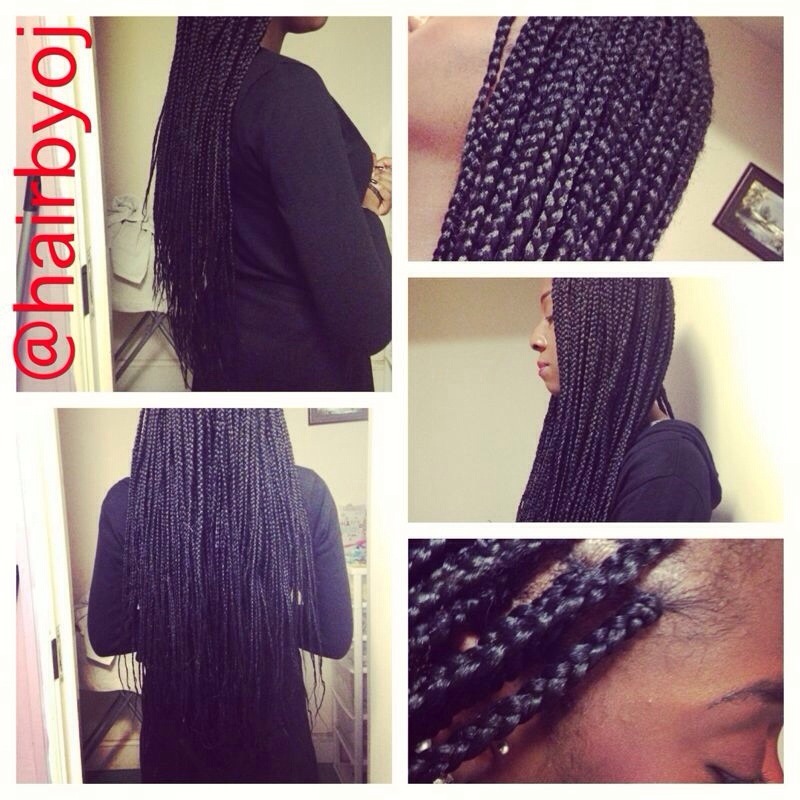 These braids are perfect for styling versatility or if you need to protect your natural hair!